Insurer to diversify distribution via first-ever regional broker data system. Brokers Insights, the new insurtech business bridging the commercial distribution gap between insurers and regional brokers has signed Hiscox to an initial 12-month deal. Hiscox is the first insurer to secure one of the panel places available for insurance companies to access the regional broker data provided by Broker Insights’ software system. Fraser Edmond, CEO of Broker Insights, said the company was in advanced discussions with a number of other leading insurers. He expects to conclude further deals in the coming weeks. 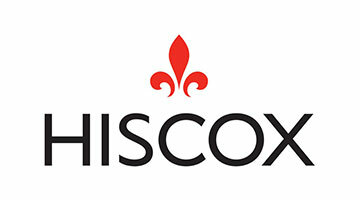 Edmond said: “Hiscox has a big digital agenda to change the way people buy insurance and is keen to find a far more efficient way of trading with regional brokers. Limiting the Broker Insights insurer panel will give those partner companies a competitive advantage and offer a compelling channel for growth, Edmond added. “Giving an exclusive number of insurers the capability to search our data platform and identify real-time opportunities with regional brokers means the broker community will attract the right insurer attention at the right time to provide the most compelling solution for their customers,” he said. The platform’s powerful search capability will enable insurers, for the first time, to identify commercial business opportunities with brokers based on a number of underwriting criteria. It will make the entire regional broker market more visible to partner insurers and give intermediaries greater access to the best products and services from partner insurers for their customers. “Currently, there is no other system with the capability to capture a UK commercial insurance market view in one place, so we are addressing a real challenges faced in the distribution of commercial insurance,” Edmond added.